Ovni are a four-piece progressive rock band from El Salvador, which I can honestly say is a country whose music I am totally unfamiliar with, in any form or style. But just lately, my awareness of music from the whole of Latin America has been rising rapidly, as I’ve “discovered” the likes of Rodrigo y Gabriela (Mexico City), the Mars Volta (El Paso, TX), Los Natas (Argentina) and Astrid Proell (Puerto Rico) just in the last two years. All good bands, though in totally different styles, so it’s obvious that our neighbors to the south have more to offer than just “El Condor Pasa” on the pan flute. 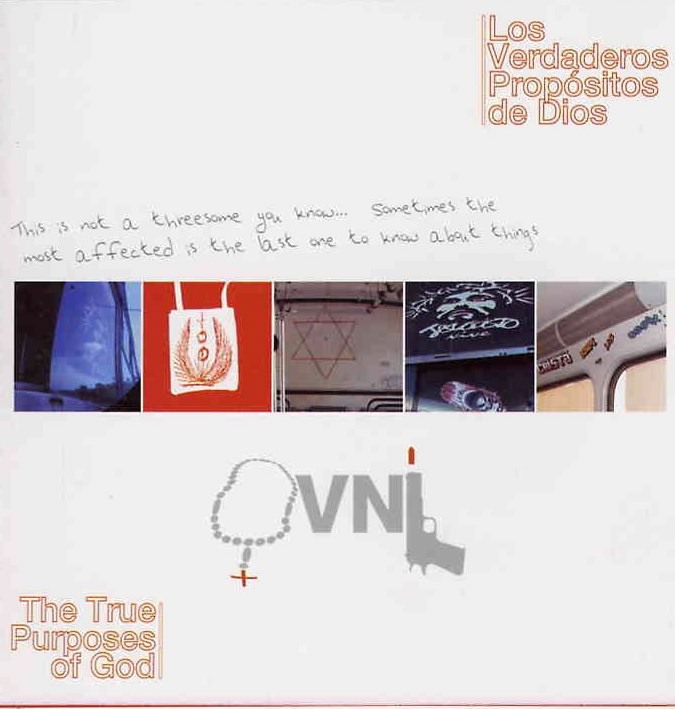 Ovni are fronted by guitarist/vocalist/songwriter Rafael Alfaro, and this is their fifth CD, a conceptual work in eight “chapters” along with prologue and epilogue. Of course, because Alfaro sings roughly half the lyrics in English, and the rest in Spanish, you need to be properly bilingual to have any idea what the overlying story is all about. (The general themes seem to be religion, love, and family relationships.) Alfaro’s voice is pleasant in either language, richly accented and fairly high-pitched. Oddly, the prologue piece is a friendly melodic prog-rock song featuring prominent Emerson-style keyboards; whereas the first official chapter, titled “El Ladron y el Vendedor,” begins instead with the big orchestral passage that I would think of as a true overture. Seems out of order then, but both pieces are pretty decent at least. At some point in this ambitious second track (it goes on 10 minutes or more), as the band begins to rock out more, it becomes apparent that the drums are some kind of electronic kit and I much prefer acoustic drums in *rock* music, though I’ve heard worse. The phony “snap” of the snare jumps out of your speakers above and “apart” from all the other instruments and it’s distracting. One look at the lyric pages will tell you that Ovni are a true song-oriented prog group, because there are a *lot* of lyrics! Frankly, I’d prefer to hear “less talk, more rock,” especially more of the guitar and more of Jorge Lara’s nice keyboard textures. Because Ovni sem to be a pretty good band if and when they put down the writing pen for a minute, cut out the overblown story-telling and techno-nonsense, and just jam out. Not every album needs to be ‘Misplaced Childhood.’ I don’t know, perhaps their earlier albums weren’t so ambitious and self-indulgent. If so, I’d like to hear those, because they can definitely play when they stick to the basics.